Wine-Tasting Portion SpoutsAvailable in 1/4 oz., 1/2 oz., 1 oz. & 1-1/2 oz. These portion spouts provide consistent pour sizes and reduce costs by preventing over-pouring. 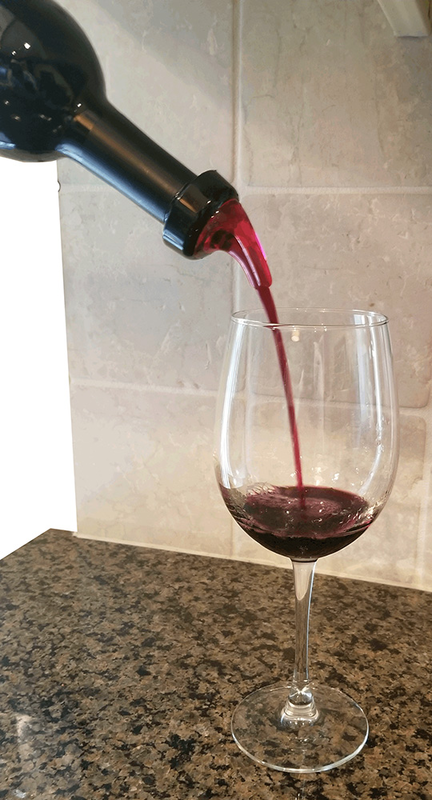 This popular measured pourer is used by restaurants, wineries & wine clubs for wine tastings. Choose from the following portion sizes: 1/4 oz, 1/2 oz, 1 oz & 1-1/2 oz. The 1/4 oz portion is typically used for whiskey tastings and may be a little small for wine tastings; however, it is available if you want to offer just a sip to taste. If you're looking for a larger portion size to pour wine by the glass Click Here. These wine spouts can be ordered with a clear top or neon red top. Prices are based on quantities ordered. The more you buy, the lower the price per spout. SPECIAL OFFER: Enter Coupon Code WINE-TASTING for 10% off Wine & Liquor Tasting Portion Spouts. Note: There is a $13.95 minimum purchase, before shipping. Click on this link to download a PDF version of the Posi-Pour Instructions. 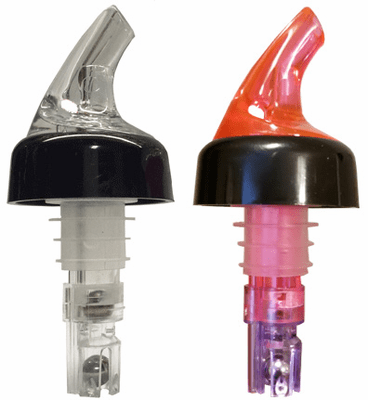 This soft polyurethane pour spout cap prevents insects, dust and smoke from entering your bottles which can cost you hundreds of dollars a month. Simply press down on the Pour Spout Cover to create an airtight seal over the measured spout.